Document retention is a tricky subject on which people have all sorts of views. Some find the habit of continually maintaining a document archive in painstaking order is a bind, others take to it like a duck to water. Some will staunchly keep only what they need to under statute, others will be more cautious about retaining what might come in useful one day. Some people are dreadful at never having the heart to throw anything anyway, and hoard paperwork and documentation in hard copy, disk and email. If you are based in the United Kingdom, the authorities are clear on what is a good timescale for document retention. You should have a record of your accounts and supporting papers that can trail back to 6 years before the present. You will need to use your discretion, and preferably get advice, on whether any older documents should be retained for longer than this. If there is crucial work that your property or company depends on that occurred 7, 10 or more years ago, it could always be necessary to have that information on file somewhere in case it needs to be queried. 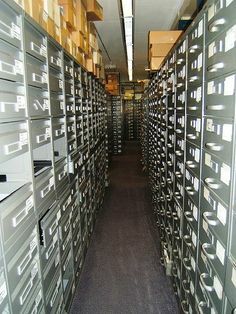 Altogether this can represent a fair amount of filing, and if you don’t want your office space or home overrun with cupboards full of archive files and boxes, an investigation into self storage units near you might be a worthwhile task. A good archiving system should allow documents to be easily retrievable, but also indicate where documents might be past being useful to you or an external auditor and can therefore be considered for disposal. What you don’t want to have to do is root through everything and decide what should go and what should stay. It is good to create a system where boxes have a throw out date indicated on them or on an electronic record relating to them. Then you know at a glance what might no longer be required, or be able to easily interrogate this information electronically. It is common these days to have many documents electronic only, although many print out as well to backup, so a system that evaluates the expiry date of both media in tandem is desirable. When it comes to throwing something out, you can’t be negligent about the method of disposal. Simply throwing boxes into a skip at the back of your premises simply won’t do these days, and you may want to invest in a good quality shredder, or take the documents away to be shredded by a company that specialises in bulk jobs if you don’t fancy a long night feeding papers a few at a time into a narrow slot and periodically clearing jams. « What Is The Allure Of Self Storage?